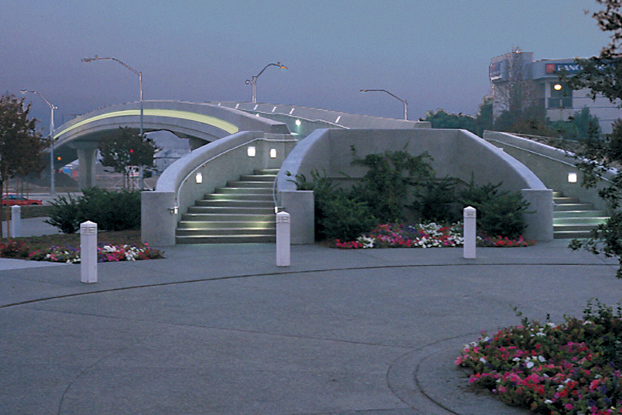 The $19.3 million project included the widening and realignment of Vista Village Drive, from a four-lane arterial to six lanes with new landscaping, the reconstruction of over 10,000 lf of existing trunk sewer, a transit station building, rail crossings, and a beautifully landscaped and hardscaped creek area with a closed water system. To construct the project, Griffith Company in eight distinct milestones, excavated and provided import fill of 120,000 cy, graded over one million square foot of pads for development, constructed 20,000 lf of curbs, 400,000 sf of new AC/AB roadway, 2,000 lf of large RCB drainage structures, 4,000 lf of storm drain, traffic signal improvements in four intersections, and installed a new dry utility duct bank. To construct the boulder lined, landscaped creek area we constructed 1,000 lf of retaining walls and designed and constructed a pump station to recirculate fresh water in the creek. 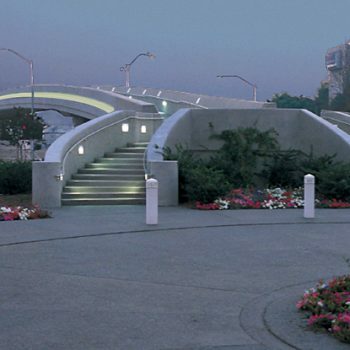 When the City’s developer changed mid-stream, Griffith Company actively participated in the redesign effort with the City by supplying construction expertise and budgeting different design scenarios. The Vista Village project was the recipient of Associated General Contractors of San Diego “Build San Diego Award”, an American Society of Civil Engineers “Award of Excellence Award”, and a finalist for AGC of California’s “Constructor Award”.